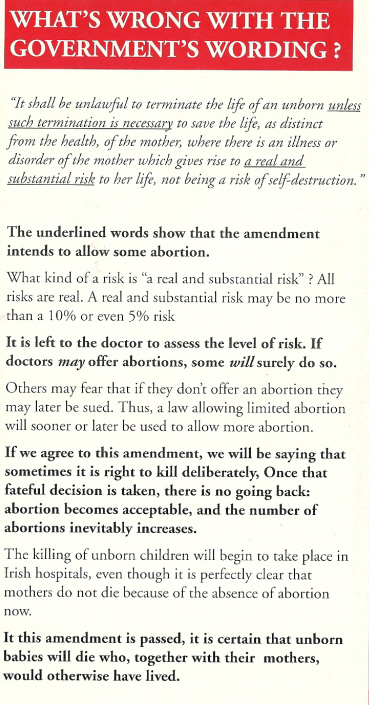 The 1992 abortion referendum had 3 separate ballots. The first regarded Abortion itself. Which was defeated through a mix of people who felt it went too far and others who felt it didn’t go far enough. The Second was to do with the Right To Travel. It was passed. The Third was to do with the Right to Information. It was also passed. The Referendum arose in essence from issues surrounding the ‘X’ case.